We offer lab quality self-administered urine pregnancy tests that are 99% accurate as early as 7-10 days after conception. You will know the results before you leave. We offer private appointments to help you gather the information you need to make a decision about your pregnancy. Our commitment is to provide you with accurate and comprehensive information about the option to parent, have an abortion, or make a plan for adoption. 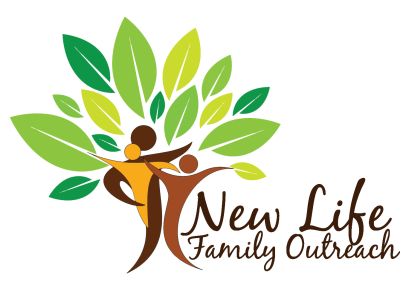 At New Life Family Outreach you won’t find anyone judging you or telling you what to decide. We understand that you may need a place to consider all of your options without the pressures of family, friends, your boyfriend or husband. We can provide you with that setting along with a trained, caring and compassionate volunteer peer counselor who can assist you throughout the process. Knowing where to go for help during an unplanned pregnancy is important. We can provide you with contact information for the community resources and referrals you need; such as social service agencies, OB/GYN prenatal care, and more. THIS CENTER DOES NOT OFFER ABORTION SERVICES OR ABORTION REFERRALS. This program was designed with you in mind! Regardless of the circumstances of your pregnancy, you are not alone. As your baby is developing inside you, you can be preparing yourself emotionally, physically, and spiritually for the birth of your child. You will be provided with valuable information on pregnancy, childbirth, parenting, and life skill responsibilities. You will meet with a volunteer peer counselor for bi-weekly sessions, who will help and encourage you through your pregnancy and up until your baby is two years old. There are videos to watch, workbooks and bible studies along with counseling sessions that you select based on your needs and desires. As you attend these scheduled appointments, you become eligible to receive maternity and baby items by shopping on our Baby Boutique. If you are struggling with the emotional or spiritual results of an abortion, you are not alone. Following abortion, many women feel an initial sense of relief. However, that relief can be followed by feelings of anxiety, regret, anger, difficulty sleeping, grief, depression, and withdrawal. These feelings can be intensified by the situation surrounding the abortion – for example, a rushed abortion focused on reasons that now seem irrelevant, or feeling pushed into the abortion by others. We offer confidential, compassionate post-abortion support, whether your abortion was yesterday or years ago. The loss of a child through miscarriage, stillbirth or early infant death, can be a devastating experience. You are not alone. There are others who are going through the same valley of grief as you are and still others who have passed through that same valley, and onto the other side. It may be very difficult for a survivor of child sexual abuse to talk about or even remember what happened to them. Many carry this burden through life. Some adult survivors think that because the abuse happened when they were a child that it is too late to begin talking about what happened and to heal. This is not true! It is never too late and the decision to heal from child sexual abuse is a powerful and positive choice. We offer ongoing support groups for these experiences held in the privacy of a small group setting to begin a journey of healing.